AX-18A is a newer version of the AX-18F with the same performance, but more advanced external design. 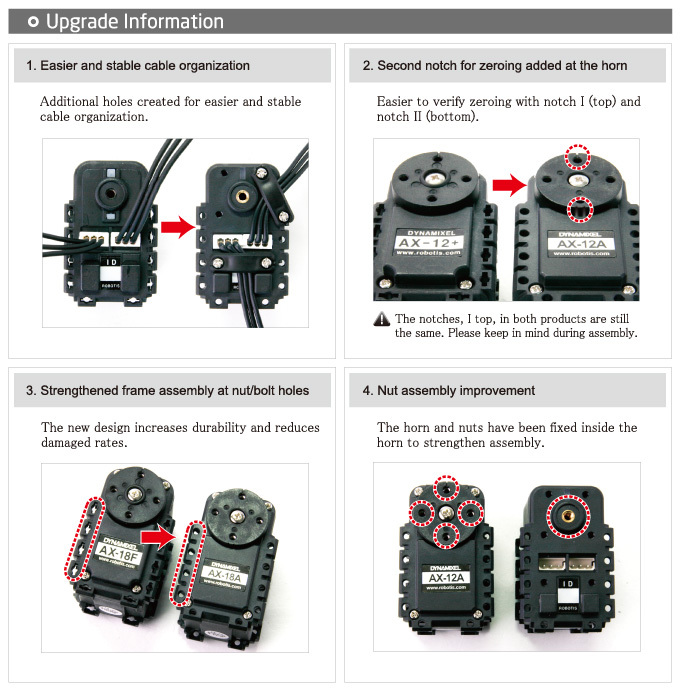 It is 100% compatible with former AX-18F at 1:1 scale, with the same control method. 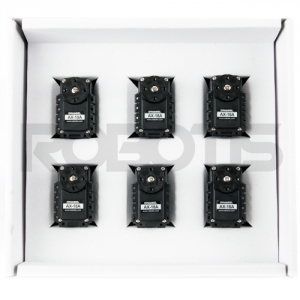 – This is a bulk package product consited with 6 pcs of actuators only without accessories at cheaper price. – Recommended for those who use custom designed frames. 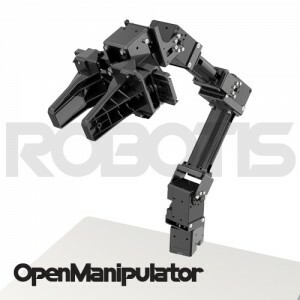 – This is an exclusive actuator for Bioloid kit, a multiple DOF robot kit. You can build versatile robot systems using universal connection mechanism. – Can be used as a wheel. So, it is possible to integrate wheel and joints together in one system. * Please change the setting of ID and baud rate depending on your operating environment.